What is "peer" and "peeri-mureedi" ? Muslim Villa > Forum > Category 6 > VARIOUS ISLAMIC ISSUES > Religious - > What is "peer" and "peeri-mureedi" ? Who are these despicable "peers?" Ever thought of that? Well, read this discourse so you realize the need to stay far away from this Haram segment of the society and culture. The word 'peer' (پیر‎ ) is originally a Farsi term which means 'an old person.' However, in Pakistan this word has been twisted into something quite different. Peer specifically means a spiritual healer regardless of age or gender, and by and large 99% - if not 100% - are crooks or opportunists or both. Not to mention, the job which they to do is plainly HARAM. Many of them claim to predict the future. They know their clients are naive, ignorant and vulnerable. Many of the clients come from the wealthy or influential strata of the Pakistani society. The peers find it a pleasure to watch their idiotic clients hung up on them for advise and guidance concerning their future. Peers often say all sorts of bunkum about the future, but they maneuver their lies cleverly. The gullible client is unable to catch their guile and with the passage of time gets increasingly dependent on these crooks for their nonsensical lies in the name of "faith" and "spirituality." Sometimes a peer's "future prediction" may come true by sheer fluke; sometimes it may hit the jackpot through the peer's surreptitious research prying into the client's private life or simply through a preliminary psychological assessment based on mind-reading, a sly prowess common among the cunning. The moronic clients claim to be 'Muslims' yet they are convinced that the crafty peer really knows the future. It has never occurred to the morons that NONE but Allah Almighty knows the future. It has never occurred to them that the Noble Quran is the only Fount of Guidance, NOT the peers. That's how pathetically misguided Pakistani Muslims are, totally under the influence of the kuffar. These nasty peers often try to continue their kuffari through generations by training their students to become peers as well. These degraded people who are supposed to be the peer's students are called 'mureeds.' This Haram heritage of peers, their apprentices and clients who look upon the peers as "spiritual healers" is called the culture of "peeri-mureedi." So, where does the concept of peeri-mureedi stand in connection with Islam? The answer is simple. Peeri-mureedi is completely HARAM in Islam. There is NO concept of peeri-mureedi in the Noble Quran. According to Islamic concepts, you can either be a teacher or a student, that is, muallim ( معلم ) or talib ilm ( طالب علم ), respectively. This defines the the standard or usual relation between a teacher of a school, college or university and their student. The teacher-student/client relations in peeri-mureedi has a totally different ideology where the student or client unconditionally submits to the peer, in that, they have no other choice but to accept whatever the peer instructs or suggests. This approach is completely un-Islamic. The Noble Quran tells us again and again to be discerning about what we hear from others to help us analyze matters and thus enable us to adhere to the truth. The Noble Quran is the 'Sole Criterion' ("Al-Furqan") as confirmed by Allah Almighty Himself. "Blessed is He Who has revealed unto His slave the Criterion (of right and wrong), that he may be a warner to the peoples." (25:1) Al-Furqan. The Quran continuously emphasis upon the human faculty of thinking, reflecting and evaluating to ensure we don't deviate from the truth, often referred to by scholars as "investigation before belief." We are to accept an advise or a tradition only after we analyze it thoroughly with the Quran as our Benchmark. If any aspect of the content under investigation is not in conformity with the commandments of the Quran or the guidelines of Quranic principles, that advise or practice must be trashed immediately, no matter who says it or practices it. 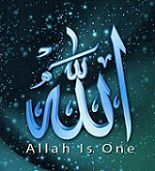 A Monotheistic believer must ONLY submit to Allah Almighty alone and NONE else. Submitting to anyone other than Allah is outright shirk and kuffari for which such heretics will have to answer to Allah on the Day of Judgment. Peers are human beings with numerous shortcomings like any other human being. No human being is perfect. The quality of perfection belongs only to ALLAH. Yet these crooks expect their clients and students to surrender to them unconditionally and unquestioningly. Such an attitude is doused in arrogance and disbelief. The practice of peeri-mureedi is typical in Pakistan which is the only Muslim country where this disgusting culture is rife. Indirectly, meeri-mureedi sprouts from the hypothesis of Taṣawwuf or Sufiism also defined as "Islamic mysticism." You can call it what you like; the fact is that all these terms have the same foundation which is NOT compatible with the Noble Quran. The belief or theory of mysticism has its roots in the kuffar Hindus and Buddhists, while many deviated Christians and Jews also follow it. Monasticism among Christians is a glaring example of a notion that ensues from mystical theories. It is NOT endorsed by the Noble Quran. " .. and We caused Jesus, son of Mary, to follow, and gave him the Gospel, and placed compassion and mercy in the hearts of those who followed him. But monasticism they invented - We ordained it not for them - only seeking Allah's pleasure, and they observed it not with right observance. So We give those of them who believe their reward, but many of them are evil-livers." (57:27) Al-Hadid." Mysticism is generally linked to philosophy which carries the idea of merging with God, a concept which is totally HARAM (forbidden). That goes without saying. Among so-called Muslims, who have deviated from the Quran or who know nothing of the Quran, mysticism of sorts is often termed as "sufiism" which too is a deviation from the Quran. To briefly and comprehensively know what Sufiism is, read our former post "On Sufiism." In the first place, suffism primarily alludes to renouncing the world which is NOT instructed in the Quran. Secondly, some of our Muslim scholars who have focused too much on various so-called philosophical schools and thus wavered from the Quran insist that sufiism in Islam is different from the concept of mysticism in other religions. I would not fully (or perhaps even partly) endorse that opinion. The only bit of difference between mysticism in other faiths and sufiism is that the followers of other faiths who adhere to mysticism select certain practices of their faith dubbed as the beliefs of mysticism within those various faiths. That is exactly what sufiism does, picking a rule or two from Islam and mixing it with the larger values of standard mysticism, deviating almost completely from Islam. I'm keeping the issue brief and simple. Many Muslim websites and outlets have unnecessarily made it complex with needless institutional terms to purposely confuse readers, particularly those outlets that incline in favor of sufiism. Furthermore, peeri-mureedi also encourages people to visit the shrines of dead peers or so-called saints and pray to them to have their wishes or duas fulfilled, commonly known as the practice of waseela or using dead peers and darveshes as intercessors. Needless to say, this is top-notch SHIRK AND KUFFARI. Anyone who indulges in such practices better beware on the Day of Judgement. By the way, the circle of darveshes consists of another set of frauds. A darvesh is supposed to be a sufi's guide, teaching to follow the path of "tariqah" and "haqiqa." All of these are ways and means to deviate people from the ideology of the Noble Quran in its entirety; and needless to say, the Noble Quran is a complete collection of Laws - spiritual as well as practical - that must be accepted and implemented in its entirety by a true submitter. It goes without saying that for a Monotheistic believer (or follower of Tawheed), there is absolutely no question of indulging in such prohibited practices as peeri-mureedi or running after sufiis or darveshes for spiritual healing or future predictions. Whatever we want, we must ask directly from Allah only through our dua and supplications. Our prayers must be directed ONLY to Allah Almighty and NONE else, and we do not have to go to any specific places like shrines or dargahs to make dua. We can pray to Allah Almighty at any place and we must pray to HIM directly. And NONE knows the future except Allah The Almighty. "None in the heavens and the earth knows the Unseen save Allah; and they know not when they will be raised (again)." (27:65). "How clear of sight is He and keen of hearing! They have no protecting friend beside Him, and He makes none to share in His Government." (18:26). While Allah Almighty categorically states that the Noble Quran is "a balm," "a guidance" and "a mercy for believers," so-called Muslims in Pakistan look to peers for spiritual healing. "O mankind! There hath come unto you an exhortation from your Lord, a balm for that which is in the breasts, a guidance and a mercy for believers." (10:57). Only the Quran is a healing for the hearts, NOT the "peers" and "saints." Re: What is "peer" and "peeri-mureedi" ? Thank you Sister Ruhi. I hope our Pak brethren in particular read this .. not that they'll ever heed. But let them know yet again how deviated they are. It's just so unfortunate that many people ruin their book of accounts with their own deeds, a book they will find wide open on the Day of the Greatest Investigation. A very logical warning to the kuffar who pretend to be Muslims. As if Pakistan doesn't have enough heretical problems already borrowed from the neighboring kuffar of India, do the Pakistanis need to deviate needlessly and burden themselves with additional sins by cozying up with these quacks and cheats called peers? I knew a Pakistani lady at our Islamic community center which was close to our previous house. She proudly said that a female political leader of Pakistan named Benazir Bhutto Zardari (now late) always wore a white head scarf regardless of the color of her clothes because her 'peer' told her that as long as she wears a white head cover, she will stay safe and prosperous. But when the assassin took his aim, the bullet went right through her white head scarf. Where was the peer? And yes, she "prospered" in the past through massive corruption of her brigand husband. Give a standing ovation to the effing peer! Very rightly said Sister Heba. I couldn't agree more. Ya Allah! I never knew about this. Are Pakistanis as deviated as this? I mean, I'm sure not all. There must be sensible ones too who are proper submitters adhering to Monotheism. But to know that such an appalling heretical culture at all exists in a country that was created for Muslims is mind boggling. I read of this word "peer" for the first time. Thanks for the warning Sister Ruhi. This was some shocking info. Pakistan is hardly a Muslim country any longer. Only a small handful may know 50% of Quranic contents accurately. Even that would be expecting too much. As Muslims, the government, politicians and bureaucrats only know the words "As-Salaam Alaikum" and "InshAllah," and that too, they surely wouldn't know the definitions of these terms. Recently in Pakistan a politician advised another politician to remarry his divorced wife and the other declined because he had made up his mind not to "reopen a shut door." You get the astounding ignorance these folks are basking in? The Noble Quran makes it crystal clear that divorced couples cannot remarry until that divorced woman marries another man and again divorces him .. and of course it has to be a genuine marriage, not a setup or a modus operandi to pave the path of remarrying her former husband. "And if he has divorced her, then she is not lawful unto him thereafter until she has wedded another husband. Then if he (the other husband) divorce her it is no sin for both of them that they come together again if they consider that they are able to observe the limits of Allah. These are the limits of Allah. He manifests them for people who have knowledge." 2:230. Most Noble Quran. That divorced wife of the Pak politician never married anyone else after her divorce. Yet neither her former husband nor his buddy knew about the Quranic Law, one of them confidently suggesting to the other to remarry a divorced wife while the other says 'no' of his own free will. That's because these poor guys have never even read a single ayat of the Noble Quran in their entire lives. And these are no kids. They are old men well within the age bracket of grandfathers. Sister Zeynab ... isn't that flabbergasting! I think Indian influence should be made to lessen in Pakistan. I'm sure there would be various other factors contributing to such ignorance of the Pakistani elites in particular. But I've learned from many that Pakistan under its present politicians is much too eager to assimilate with India. You're right brother TS. That is one of the core problems. Yes Sister Zeynab, I read that story too. These buggers are a bunch of kuffar. They don't know that such a marriage would be void according to the Quranic Law. It would not be recognized as a legal marriage; it would be zina. Not that such folks find anything wrong with committing zina either. "Recently a politican advised another politician to remarry his divorced wife and the other declined because he had made up his mind not to "reopen a shut door." You get the astounding ignorance these folks are basking in? The Noble Quran makes it crystal clear that divorced couples cannot remarry until that divorced woman marries another man and again divorces him .. and of course it has to be a genuine marriage, not a setup or a modus operandi to pave the path of remarrying her former husband. That divorced wife of that Pak politician never married anyone else after her divorce. .........."
Shocking! This is pathetic ignorance of an unspeakable category! !